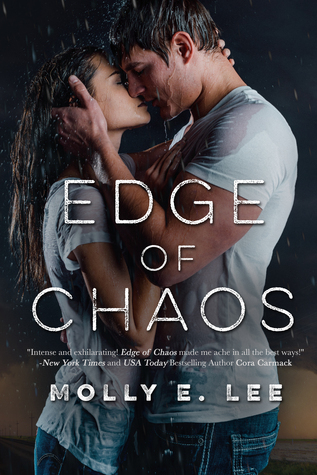 My post this week is from 56% of The Edge of Chaos by Molly E. Lee. I read this book in April and loved it. You can find my review here. I thought I would share a bit more about it. From 56% - "The warmth from his hand slid across my skin as he moved it to my neck. “Don’t think that. You deserve more, Blake. And you need to understand that you are so much more than how you see yourself and a hell of a lot more than how he treats you.”"
What a moment captured. Sounds like a good read. Happy weekend! Thanks for stopping by! It was one I looked forward to it's release and it didn't disappoint. Hey, if Dash can help Blake get over Justin, I'm all for it! Thanks for stopping by! It was a great read. Well thanks for checking it out anyway.